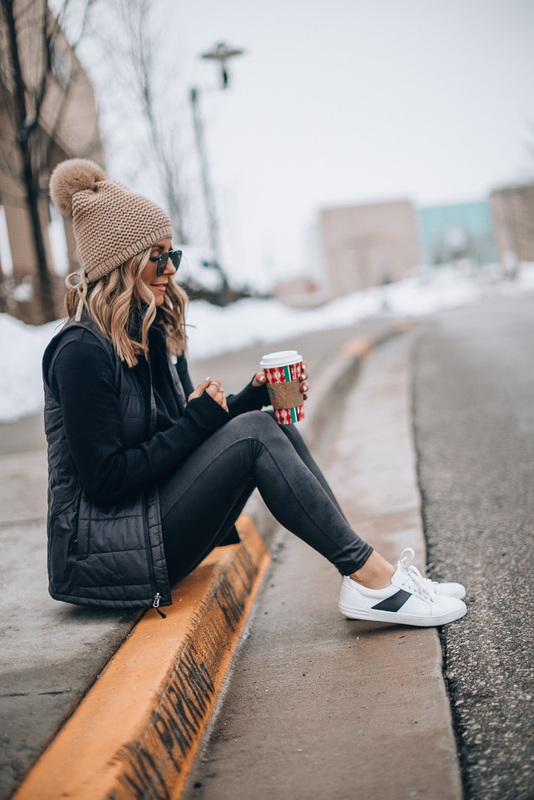 If you read my post that featured 11 of my favorite items from 2018 – these faux leather leggings are on it! Hands down one of my most worn pairs of leggings – they go with almost anything and can be dressed up or down. If you don’t own a pair – trust me when I say – this will be one of your favorite purchases in 2019! 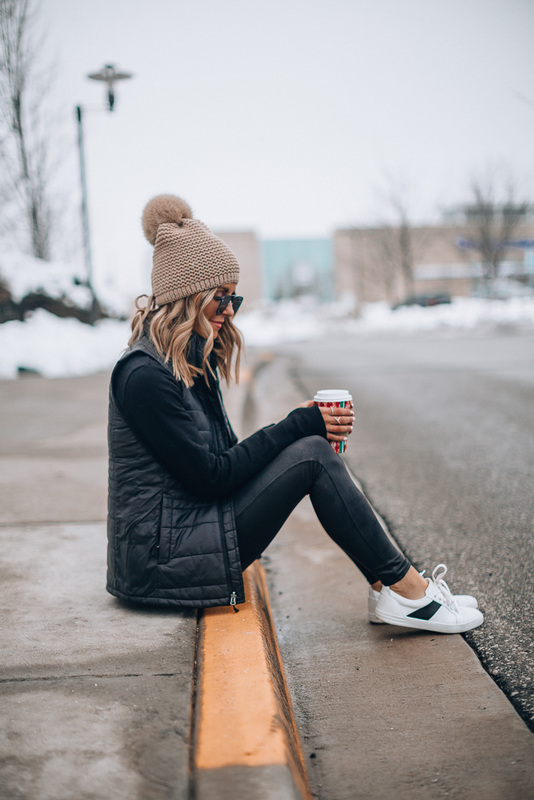 Today I am sharing a few ways you can wear your faux leather leggings. Probably one of my favorite ways to wear the faux leather leggings is with sneakers and a casual tee or sweatshirt. If it’s cold out I will layer with a puffer vest or coat. I love keeping things all black for a casual but chic look. They leggings also look cute with a cozy sweater and loafers. You can also dress up your faux leather leggings for date night. Whether you’re going out with your girls or your guy, pair your leggings with a tunic, a statement earring, and your favorite heels! One thing to note, when it comes to pulling off faux leather leggings, its important to choose the right pair. There are so many different styles out there – many styles can look cheap, fit bad or feel like saran wrap. Hands down the best pair I have found are the Spanx faux leather leggings. If this is your first pair I suggest starting with the standard faux leather, another great option is the moto faux leather- which has some added edge. Any of the Spanx brand leggings are insanely comfortable and they fit so well! They flatter any body type!